With all the proven reasons to meditate, it might be easier to talk about reasons you shouldn’t meditate— except that there are very few. Meditation has been shown to be greatly beneficial to your entire body and mind with regular practice. 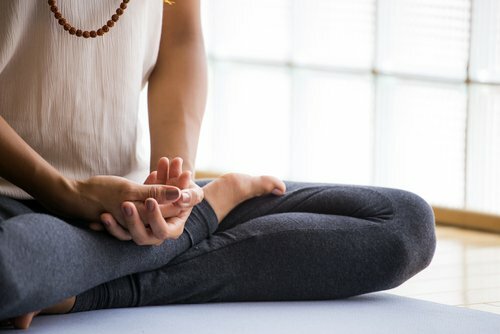 If you haven’t tried it, here are some of the many things you can gain from introducing meditation into your daily routine. Sitting still and being quiet might not be the first thing that comes to mind when you’re in pain, but mindful meditation can actually be a useful tool in managing it. This technique seeks to master the way that the brain experiences and perceives pain in order to lower its threshold. By focusing on the experience of pain and how your body responds to it, you’re able to avoid the negative thought process and amplification that may come with it. If you’re a chronic pain sufferer, you may be unaware that your brain can become especially sensitive to pain due to experience. Everyone has certain things they don’t like thinking about, but transcendental meditation has been shown to be effective in trauma and PTSD sufferers. Transcendental meditation, at its peak, is a state where the mind is able to activate its resting and social bonding functions and put to rest its “fight-or-flight” response. This state of consciousness offers an increased ability to regulate emotions and boost introspection. It can even turn off emotional association with thoughts and memories, and might be able to offer relief and mental healing for depression, anxiety, and stress sufferers. If your brain is a muscle, then meditation is a workout routine for it. By giving your brain time to rest and recuperate, it has the chance to build its ability to focus, multitask, retain memory, and be creative. It can also change the physical makeup of your brain, increasing the areas associated with emotional regulation, positive emotion, and self-control. While you might gain these things from regular, sufficient sleep, meditation offers the benefit of practicing mastery of the mind. It allows careful examination of thought patterns, emotional responses, and the self, and these things can’t necessarily be done while sleeping. If you’re looking to begin meditating, start small. Find a quiet place and set a gentle alarm for ten or fifteen minutes. Try to remain conscious of your thought patterns and when your mind begins to wander. If it does, there’s no worry— center your mind and continue. Breathe deeply and regularly, and don’t expect it to come easily the first few times. Like anything, meditation takes practice and dedication. For more healthy living tips, you can visit our blog or contact our office in St. Petersburg.